Gluing mixed wood species, tricks to gluing end grains, and decreasing clamping time with a vaccuum press are among 6 tips and techniques for optimizing adhesive performance in woodworking applications. 1 Special consideration must be given to projects involving different wood species. 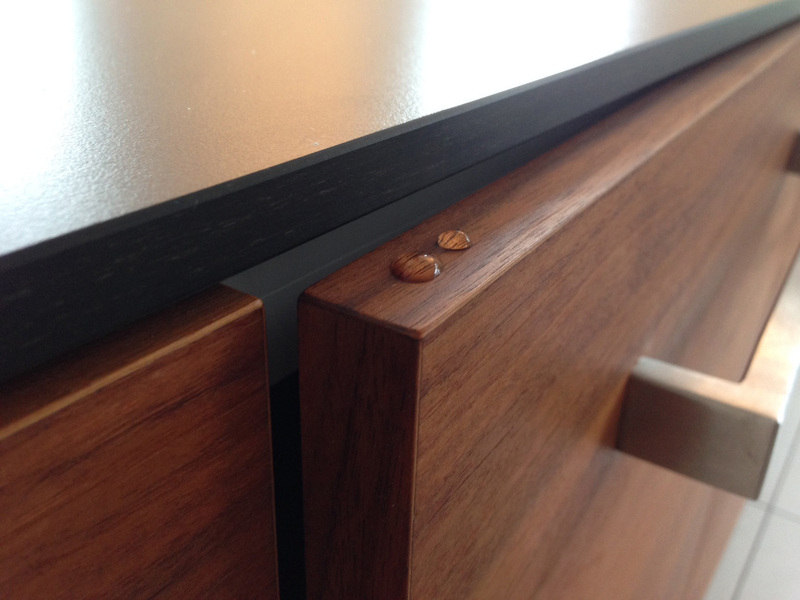 When different wood species are used, it is important that all woods have the same moisture content. Storing all the wood together in the same warm, dry location before beginning the project will help all the wood reach the same moisture content. 2 Get good results gluing end grain joints. Although good joint design minimizes the need for gluing end grain, sometimes end grain joints are unavoidable. 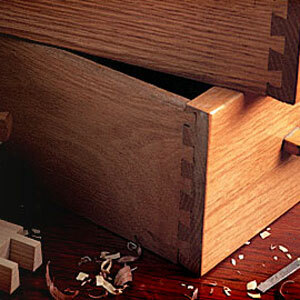 The strength of end grain joints can be improved if the “open” end grain is first sized. A sizing mixture may be made by mixing one part to two parts water to one part glue. Place the sizing mixture on the end grain. Let it soak in for no more than two minutes, and then continue with a regular application of glue. 3 Decrease clamping time using a vacuum press. To decrease the clamp time in a vacuum press, put a thick piece of wood into the vacuum bag to help absorb the moisture from the glue. This technique is best utilized when laminating many thin veneers together because the water in the glue saturates the veneers. 4 Get better results gluing woods that are oily or high in tannic acid. When working with woods that are high in tannic acid or are considered oily, wiping the joints with acetone before gluing them up ensures a good bond. Acetone clears the contaminants from the wood’s pores on the bonding surface and dries quickly without leaving any residue. 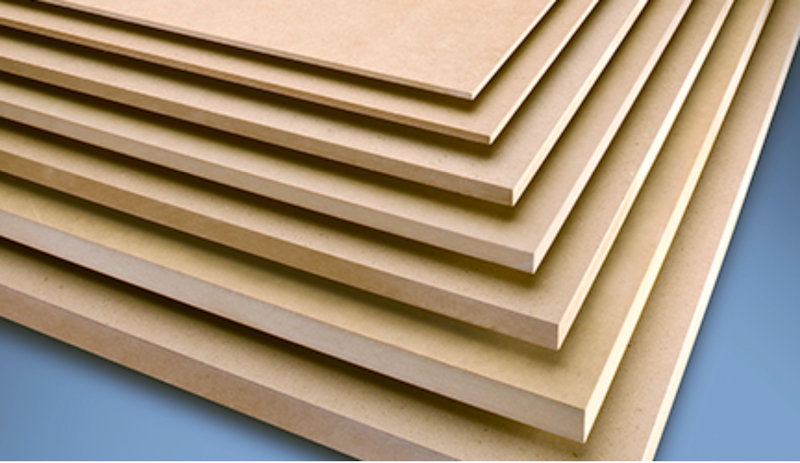 A good bonding surface can also be achieved by sanding or planing the wood just before gluing the joints. 5 Re-use may require an extended heat up time. When re-using a cartridge, you may find that the adhesive remaining in the tip may take a little longer to soften. Allow the adhesive applicator to heat for an extra 5 -7 minutes after the green light is displayed. This will help soften the dried adhesive in the tip and allow it to extrude easily when re-using a cartridge. 6 Clamping your assembly may be desirable. While clamping would not be necessary for many projects, it may be desirable. 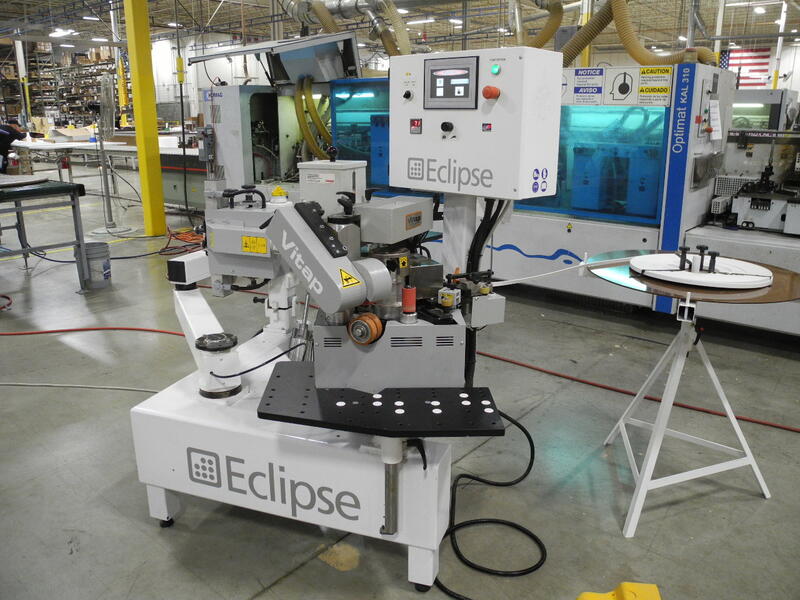 Clamping will produce a thinner, more aesthetically pleasing glue line. In addition, if the substrates being bonded have a lot of memory, pressing or clamping the pieces will help to keep them flat while the adhesive is curing, ensuring a better bond. Source: Franklin Intl. For more information, call (800) 347-4583 or visit Titebond.com.